Multiculturalism has failed and it has failed utterly. This has been the rhetoric of several European Union leaders in recent years but does research back up the speeches made by politicians? Professor Gurminder K Bhambra looks at why reports of the ‘death of multiculturalism’ may have been greatly exaggerated. Angela Merkel, David Cameron and Nicolas Sarkozy have all given speeches that publically disavow the project of multiculturalism in their own countries and, by implication, in Europe more generally. Some right wing organisations and parties have seen this as a confirmation that their views on the ‘dangers’ of multiculturalism – that is, UK cities being ‘segregated’ and filled with citizens who lack a cohesive identity – have been vindicated. But Professor Gurminder K. Bhambra, drawing on research prepared by the Centre on Dynamics of Ethnicity, argues that the evidence points to the contrary: that the plurality and diversity of our cities is made of people who invoke Britishness alongside their ethnic identity. Indeed, that Britishness is frequently long-standing and derives from historical connections forged by empire. David Cameron followed Angela Merkel’s lead, making a speech at the Munich Security Conference in February 2011. In it, he also said the doctrine of state-multiculturalism had failed. This speech was picked up by right-wing groups in the UK, such as the English Defence League (EDL) and the British National Party (BNP), as evidence that what they had previously been arguing was now being validated at the highest levels. Cameron’s speech was taken up in France with Marine Le Pen, leader of Front National, congratulating Cameron and suggesting that it was an endorsement of the views on multiculturalism and immigration held by her own party. This debate against multiculturalism within nations has been occurring, paradoxically, at the same time as Merkel and Sarkozy have been pushing for greater economic and political integration within the EU in order to address the European financial crisis and Greece’s mounting government debt. “This paradox of hostility to diversity at home, while nonetheless building diverse coalitions to address political problems is also manifest amongst the most virulent opponents of multiculturalism in Europe: the far right,” adds Professor Bhambra. On the day of David Cameron’s speech on multiculturalism, the English Defence League (EDL) demonstrated in Luton against multiculturalism and specifically against, what they term, Islamism. The demonstration attracted a number of far right groups from across Europe who marched together with the EDL. “A veritable cosmopolitan coalition of diverse right-wing groups united in their hatred of other social groups,” says Professor Bhambra. The rise of the far right across Europe is happening not only in the usual strongholds of Switzerland, Italy, Hungary, and Austria but also, as Marine Le Pen notes, in the Scandinavian countries which have not previously been known for such mobilisation. This widespread proliferation of far-right discourses and activism, Le Pen suggests, means that the time has come for “Europe’s far right to work together to develop a common front against the European Union, globalisation and immigration.” Again, a cosmopolitan European initiative is invoked against the dangers of multiculturalism at home. The claim is made that multiculturalism produces ‘segregated’ cities, with citizens who lack a cohesive identity, but this is demonstrated to be empirically false. The latest census data in the UK, for example, shows increasing numbers of cities both becoming more ‘plural’ (with no one ethnic group in the majority) and with more citizens invoking a British as well as ethnic identity. So, if it’s not multiculturalism that has died, what is it that so worries politicians and media commentators? Gurminder K. Bhambra is Professor of Sociology and Director of the Social Theory Centre at the University of Warwick. Her research interests are primarily in the area of historical sociology, she is also interested in the intersection of the social sciences with recent work in postcolonial studies. Her current research project is on the possibilities for historical sociology in a postcolonial world. She is Director of the Social Theory Centre and convenor of the British Sociological Association’s Theory Study Group. She is also co-editor, with Professor Robin Cohen (Oxford), of the new monograph series, Theory for a Global Age, published by Bloomsbury Academic. 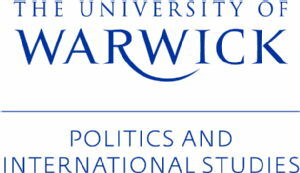 This post originally appeared on Warwick University’s Knowledge Centre blog. Next Next post: Is there a political economy of football?